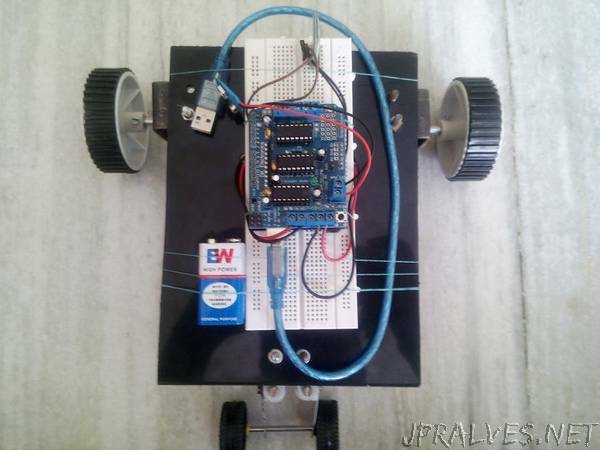 “This project shows how you can build a car which can be controlled by your smartphone using an android application via Bluetooth. Anything that can be controlled is great. Isn’t it? We humans love controlling stuff and that is why automation and robotics so fascinating. This tutorial will teach you how to create your own Bluetooth controlled car. So lets get started. This will be a Bluetooth controlled car so for this project we will be using HC-05 Bluetooth module to receive the controlling data packets. We will also need an android app which will be sending the controlling data packets to the Bluetooth module. We will use a third party application (click here to download) for this purpose. -> Okay folks! Let’s build the hardware. -> Body of the car.